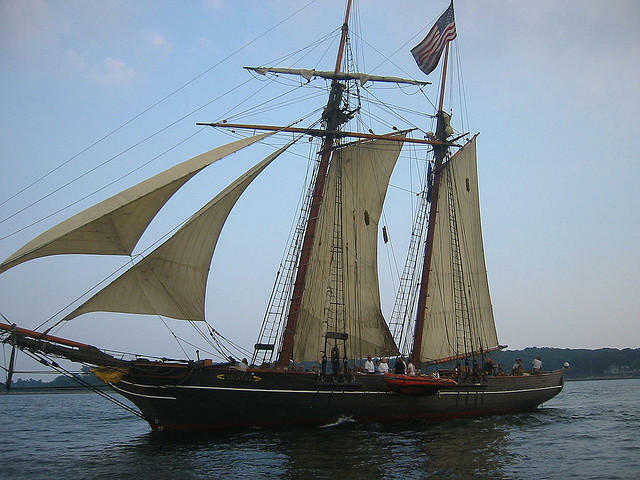 The Amistad is heading down to Puerto Rico to film a NBC miniseries. State officials are expressing concern about a series of recent blunders by the Schooner Amistad, including the decision to sail to the Caribbean during hurricane season. "I complained about it because we're talking about a tall, wooden ship. There essentially is no real safe harbor for that in a hurricane," said North Stonington State Representative Diane Urban. "It's not meant to go out in heavy seas when we've made this investment. It's supposed to be celebrating and educating the abolitionist movement in Connecticut." Urban has been critical of several recent lapses by Amistad America. Earlier this summer it was revealed that the organization had lost their not-for-profit status for failing to file three years of tax returns, that they have been unable to account for nearly $8 million in state money they have received, and the list goes on. "My latest question, which I have yet to get an answer to is they spent their endowment," said Urban. "They spent their endowment in order to take that ship across the Atlantic to Sierra Leone. To me, the endowment is your seed corn. You don't spend your endowment." Urban says she has been assured by Amistad America's executive director that the organization will use results based accountability methods, and is on track to re-establish it's not for profit status.